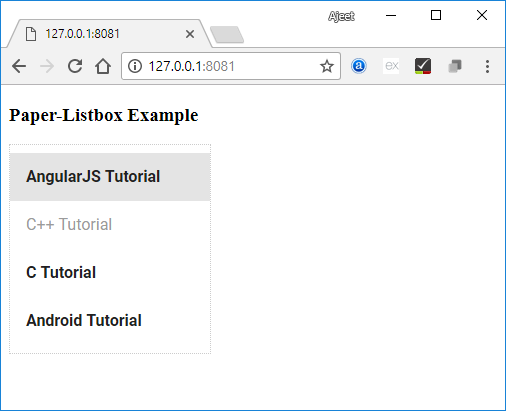 In Polymer.js, paper-listbox is an easy-going listbox control which is combined with styling. It shows the selected items in bold text. It provides you multiple selection options and key bindings to navigate through the listbox. Use the following command in your command prompt to get paper-listbox in your directory in working condition. Create an index.html file and add the following code in it to see the use of paper listbox element in Polymer.js.